MANILA, Philippines – The Seoul Central District Court sentenced Korean rapper MC Mong (real name Shin Dong-Hyun) on Monday to six months imprisonment, suspended for one year, for being found guilty of delaying his enlistment in the Korean military by applying for government exams and going on trips overseas. He was likewise ordered to do 120 hours of community service. However, the court found insufficient evidence to prove that he intentionally had his teeth extracted in 2004 and 2006 to get an exemption from military service. In 2007, he was exempted from being enlisted in the army because of his missing teeth. Following that, speculations surfaced last year that he had his teeth extracted several times so as not to serve in the military, a mandatory service for all Korean males. This prompted the police to investigate the accusations and the rapper was later charged in court. The case cost MC Mong his TV shows and severely affected his singing career. He was also banned by TV station KBS from appearing in any of the network’s shows. In a more positive note, Korean boy band Super Junior, sub-unit Super Junior-M, and its former member Hangeng scooped a handful of awards at the first Global Chinese Golden Chart awards held last April 9 in Taipei, Taiwan. A purported reunion between Super Junior and Hangeng did not happen as the boy band did not attend the ceremony, opting to thank the organizers through a video message instead. 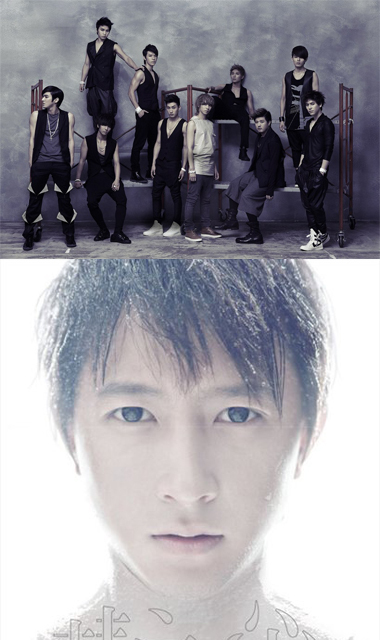 Hangeng sued SM Entertainment in 2009 and left Super Junior to start his own solo career in China. He won the lawsuit last December when a Korean court voided his exclusive contracts with SM Entertainment. On the other hand, Super Junior won the J-pop and K-pop Album of the Year for “Bonamana” while Super Junior-M won the Most Popular Group award. Another big winner is Taiwanese singer Jay Chou with six awards: Best Mandarin Album, Outstanding Global Chinese Music Artist, Most Popular Male Singer, Fairchild Choice, KAZN Choice and the Best Top 20 Song. Jolin Tsai also scored big with the Most Dedicated Song on Hit FM award, Most Popular Female Singer, DJs’ Favorite Artist and Best Top 20 Song. Best Western Album - Justin Bieber’s "My World 2.0"
Best Top 20 Songs – Hebe, Huang Hu, Zhang Yun Jing, Soda Green, Show Luo, S.H.E, Fahrenheit, Jane Zhang, Zhang Jie, Fish Leong, Khalil, Li Yuchun, Ken Wu, Jolin Tsai, Hangeng, Leehom Wang, Jay Chou, JJ Lin, Gary Chaw, and Elva Hsiao. The first Global Chinese Golden Chart awards was organized by 11 Chinese radio stations in China, Singapore, Taiwan, United States, Malaysia, Canada, New Zealand and Australia.